And now for something completely different. 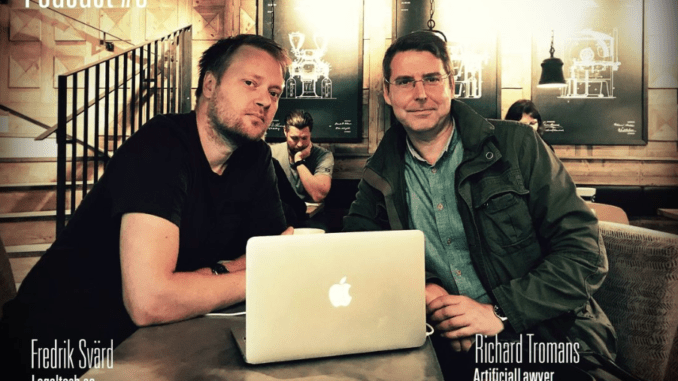 For those of you who have been long time readers of Artificial Lawyer, you’ll know that on occasion I hook up with Fredrik Svärd, founder of Legaltech.se, the leading site for Nordic legal tech news to do podcasts on legal AI. As Artificial Lawyer has just got back from attending Nordic Legal Tech day, and in a couple of weeks is off to the VQ Legal Tech Forum, also in Sweden – (in fact just two days after Legal Geek) – it seemed a good time to do another podcast. We discuss how legal tech is evolving in the Nordics, especially re. AI. We then move onto things like why are GCs so slow to adopt AI tech internally; why chat bots are great but are a long way from providing what people think they might; and generally chew over the latest AI themes and ideas. Thanks very much to Fred for organising this, editing it and putting it on-line. If you’d like to check out Fred’s great site you can find it here.